The Instinct 4.0 is a neutral shoe that can handle your road training, whether it’s a long training run, tempo run, or speed intervals. It weighs in at 10 ounces and has a stack height of 25mm. The Instinct 4.0 has two features that all Altra shoes have, the foot shaped toe box and the zero heel drop. Altra classifies this as a moderately cushioned shoe and I would agree. It is not super plush and squishy but does have a decent amount of cushion. The Midsole is made with EVA and Altra’s A-Bound™ material. The A-Bound™ material is their energy-return compound that help protect your feet from the ground impact and adds a little spring to each step. Unlike its predecessors, the Instinct 4.0 has a full rubber outsole. I actually really like this because it gets rid of the exposed midsole that can get eaten up by rocks. 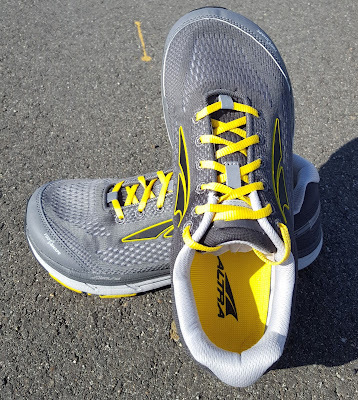 The outsole utilizes Altra’s Foot Pod Technology that pattern maps the bones and tendons of your feet so the shoes flex where your foot naturally wants to flex. It provides a more natural gait and I find that it’s more comfortable, plus it looks super cool. The redesigned upper looks more modern with engineered mesh; it does a great job of locking down your foot while still remaining extremely comfortable. 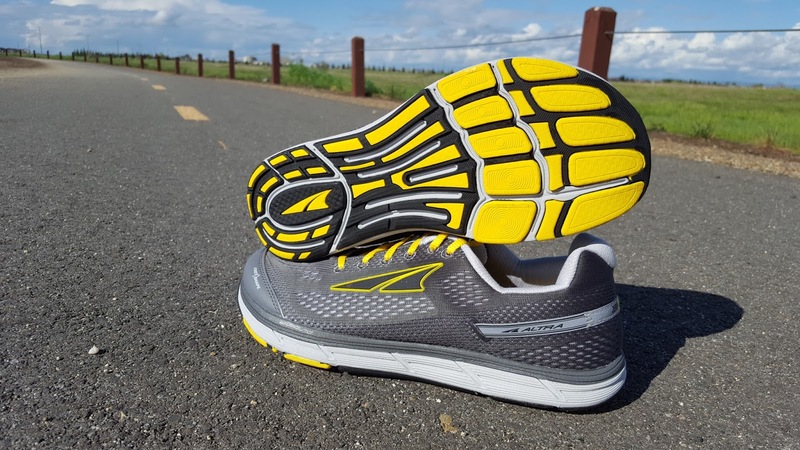 Altra has come so far when it comes to the look of their shoes. Their early shoes weren’t the most attractive. They weren’t terrible when it comes to running shoes, but not something you would wear with jeans around town. The new shoes look awesome and could easily be work out in your day-to-day activities. The decoupled heel helps provide a soft landing and really hugs your heel for a great fit. Here is my only complaint, and it’s with my feet alone. I have blistered every time I’ve worn these shoes. It has to do with the shape of my heel and how the heel of the shoe is shaped. To be completely fair, this happens with tons of shoes for me. I have combed over reviews from customers and other bloggers to see if anyone had the same issue and they haven’t. So the complaint is strictly due to my feet. I have to say that they feel of these shoes on the road is amazing. I love how the Instinct 4.0 just fits well, probably better than almost any other Altra shoe. 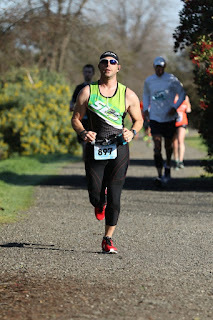 I am a huge advocate for Altra because their shoes put your foot in its natural position with its zero heel drop (that’s how you would walk if you didn’t have shoes on). The FootShape™ toebox allows your toes to spread out and will eliminate issues of compressing your feet/toes like many shoes out there do. If you are looking for an awesome shoe that can do it all, this is a great choice. I am once again impressed with another great Altra shoe. It seems like Altra keeps putting out better shoes every year and I can’t wait to see what comes next. You can get the Instinct 4.0 for $110 on the Altra website right not (on sale). Be sure to read the reviews of the Olympus 2.0, Escalante, and Instinct Everyday in the next few days as I continue the “Week of Altra.” I hope you are excited as I am. Have you heard of Altra?